Wage inequality compared to male colleagues, workplace gender bias, and a shortage of female role models are among the main barriers faced by women working in the technology field, according to a survey by global technology association ISACA. When asked about opportunities for professional growth, 75 percent of respondents state their employer lacks a gender leadership development program. Additionally, 8 out 10 women report their supervisors are male, and just 8 percent report never experiencing gender bias in the workplace. The survey found that women specifically want mentors, role models, and strong networking opportunities. In fact, it’s clear that women hunger to learn and benefit from the presence of other women in technology. 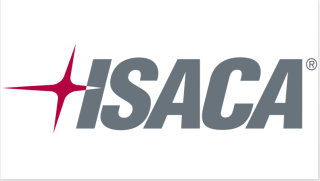 But at the top of the list of barriers for women in the ISACA survey were “limited networking opportunities” and “lack of a strong professional network,” the report says. Globally, pay disparity remains a challenge with 25 percent of respondents from Africa, 29 percent from Asia, 53 percent from Europe, 48 percent from Latin America, 60 percent from the Middle East, 42 percent from North America, and 80 percent from Oceania reporting that male colleagues tend to be paid more, without a clear reason.